"Change your life through the power of a Balanced Name"
"What Should I Change My Name To?" is one of the most important decisions you will make. At this point you may not realize just how much a name change will affect your life but after reading the material on this site, we hope you will see a name change in a new light. If you have said to yourself, "What Should I Change My Name To? ", this site will help you to make the change so you gain the most benefit. Imagine having a name that buoys your self-confidence, is in harmony with your life's purpose, enhances everything you experience, boosts your creativity, makes a positive impression whenever someone hears it, including yourself, and helps you lead a happier, more peaceful, and fulfilling life. This is what having a balanced name can do for you! And our Balanced Name Recommendation service will help you find the anme that's right for you. Based on the information you provide us, we'll formulate an array of possibilities from which you can select a name that can deliver all of the above benefits. Read the brief analysis of your first name or call us for a free brief analysis at 1-866-489-1188 on your full names. Click here for details and access times. Order a free Name and Birth Date Report for an analysis of all your names and inner potential. Watch and read the testimonials on the benefits of a Balanced Name. Order your Balance Name Recommendation package below. In consultation with us, choose a new name from the selections of recommended balanced names we will prepare just for you. Make a legal change through your vital statistics department in your state or province. A balanced name is one that's in harmony with your birth date, which determines your natural purpose or calling in life. Such a name allows you to take total advantage of the positive traits you were born with and achieve your full potential, something your present name might be inhibiting you from doing. "I am a twenty year old student attending college. I changed my name two years ago and I have noticed drastic changes in my thinking and feelings. I re-read my journal entries from about three years ago and I couldn't believe at the things I wrote! "Was I really that depressed? Where did this jealousy come from? Why was I so insecure? ", were some of the questions that ran through my mind. It's quite unnerving and unexplainable really because I can't remember the way I was exactly before but I do recall vaguely, feeling dark, gloomy, depressed, hurt, and unloved by everyone. What's amazing is that I've never really made an effort to change (except for my name) but the changes just occured whether I wanted them to or not. I never went to a therapist, never followed those self-help books, or even made New Year's resolutions. The changes just fell on my lap basically. And these are internal changes, not just external.I am proof that a properly balanced name really can change a person." 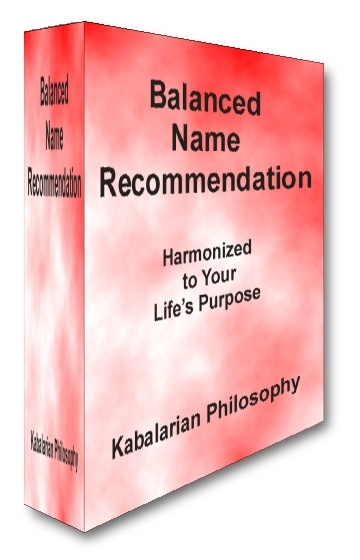 Establishing a balanced name is the essential first step in overcoming the limitations and disharmony created by your current names. Then, as you strive to understand and live to the natural laws of life under a balanced name, your ideals and experiences will become relative to your true purpose. A balanced name has the potential to permit the full expression of your birthpath or purpose in life. Just as a painter, given a full palette of colours from which to choose can create all the subtle shades of colour in a painting, with your new name, you can draw from the many strengths to create constructive changes in your life. Living and expressing your intrinsic qualities brings greater happiness, peace of mind, and success into your life. What Will a Balanced Name Do? A balanced name creates mental strengths. You will not lose any of your current positive characteristics, qualities, and abilities. In fact, a balanced name will enhance your already established strengths. Like grafting a beautiful rose stem on to a robust rootstock to produce a better rose, the new name will allow you to channel your purpose in life (measured from your birth date) into new outlets that will bring greater accomplishment, fulfillment, and contentment into your life. A balanced name will create greater stability and success in your financial affairs and projects. Through the use of a balanced name weaknesses inherent in your current names will diminish. If your current names create lack of confidence, you will grow past this weakness as you become more confident by using your balanced name. If your present names create discontent, you will lose this weakness and become happier. If your names create an over-emotional nature, you will move past this weakness as you gain greater stability and self-discipline. You will become happier, healthier, and more successful. In considering a Balanced Name Recommendation for you, we look at your current names to see if we can make a modification (if possible) as well as recommending other balanced name choices. 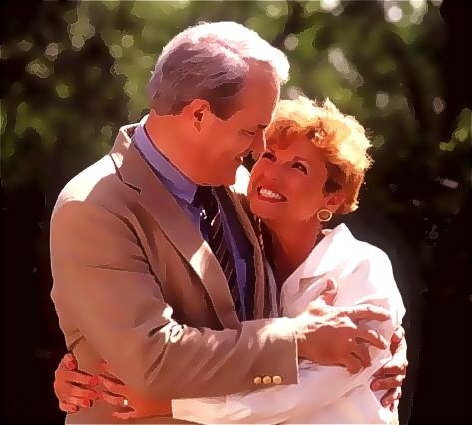 Ideally, a balanced first name should be paired with a balanced last name for the greatest benefit. Sometimes this requires only minor changes to your present name. In other cases, a complete name change may be advised. If you're considering changing your name, it makes every bit of sense to get the professional advice and personal guidance of our Balanced Name Recommendation Service. In your Balanced Name Recommendation the name choices are a compilation of common names, spelling modifications of common names, and other unique and different names. If you require a balanced name from a specific cultural background we will work with you to create your balanced name around this request. For families ordering Balanced Name Recommendations we will work with you so that each family member can use the same last name. These are harmonized to your birth date and life purpose to enhance your established strengths, diminish your weaknesses and create an immediate change in your outlook and confidence. Your suggested names will include traditional names, some with spelling modifications, as well as unique and diverse names. If you prefer that your balanced name reflect a specific cultural or ethnic background, or would like other family members to share the same last name, we will work with you to achieve the best solution. Your business and personal signatures can play an essential role in achieving successful outcomes for your projects and relationships. We'll suggest the most effective ways to sign documents with your new name. For each name in your package we'll spell out its meaning, the reason it was selected for you, and the qualities it brings out in your personality. To help you transition from your current name, you'll learn how to present your new name to family members, friends and coworkers, change identity cards, and more. We encourage you to phone or email us for live personal service and support in evaluating names from our list of recommendations until you find one that's suitable for you. Our balanced name specialists are always ready and happy to answer any questions you have. After you have confirmed your selection of first and last names and signatures, we will issue you Balanced Name Certificate with your new balanced name. With your Balanced Name Recommendation Package, you'll also receive a three-month personal Cycle Chart based on your birth date. It's an invaluable aid that helps you plan, act and make decisions in your day-to-day business and personal affairs. It's FREE when you order now. working with you until you find the name that you are comfortable with and is balanced to your inner potential.